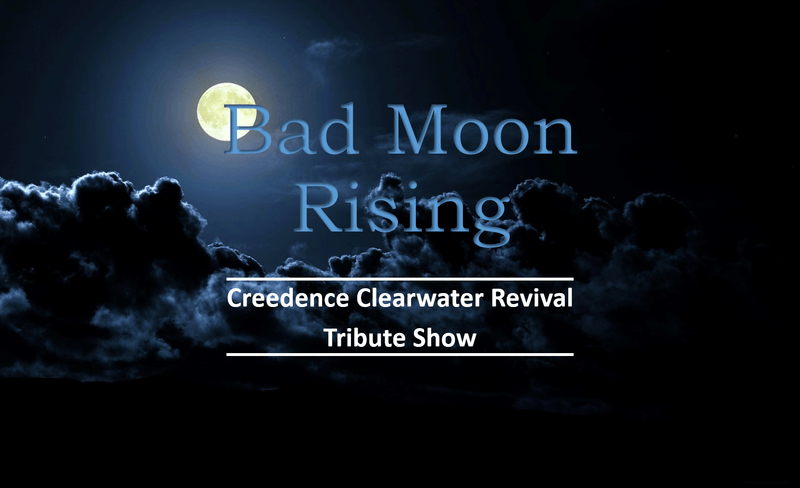 Bad Moon Rising deliver an authentic tribute to one of the most treasured rock groups in history: Creedence Clearwater Revival. All the hit songs are performed live to a bespoke movie capturing iconic movie clips and pictures from the late 1960's thru early 1970's. Professional live band delivering a top quality musical experience celebrating the music of Creedence Clearwater Revival (also known as CCR). This hugely popular act has toured the country playing to soldout shows at Top Clubs, major festivals, corporate events, and lots more, and delivers an authentic and entertaining show covering all the top hits of this timeless and ever popular band. The show includes a projector and large screen that the band have behind them playing a professional movie/montage with authentic and original snippets of all the major iconic world events from 1968 to 1972 (that was when CCR were operating) e.g. Man on the Moon, Woodstock, Watergate, Vietnam war, etc etc, it sets the mood for the show and is a great visual tool, very entertaining, the band dress in period clothing and talk about the songs, there is plenty of audience interaction. Doors Open at 7.00pm. Support from Taranaki's Premier Female Duet JUST US from 7.30pm and then Show starts at 8.15pm.